The only book that gives you a mindful guide to yoga to help future-proof your body. Avoid putting stress on your joints and heart with this slower yoga style. In today's fast-paced world it's easy to lose the balance in our lives and the connection with our bodies. Yin Yoga offers a remedy to the stress and hustle of everyday life. As yin balances yang in Taoist philosophies, so the slower yin-style yoga offers an alternative to the faster, more active forms of yoga such as ashtanga. Yin yoga concentrates on holding and breathing through floor-based poses, allowing you the time and space to clear your mind and stretch your body. 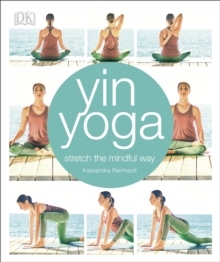 The 54 meditative poses and 20 targeted sequences will help you attain a sense of mindfulness and physical well-being, making it the perfect complement to a busy, active yang lifestyle and bringing you back into balance.